MANAGER Grant McCann said his Doncaster Rovers’ players needed to “get smart” after defensive frailties saw them slip to a third straight defeat. First-half goals from Joe Aribo and Karlan Ahearne-Grant gave Lee Bowyer’s Charlton Athletic side all three points at the Valley leaving the Rovers’ boss frustrated afterwards as his team slipped to ninth in the standings. “We speak a lot about doing the basics right, we have a good group of players but we’re lacking a bit of cleverness at times,” said McCann. “It’s been a frustrating few weeks in terms of results, but we win together and we lose together and that will always stay the same. 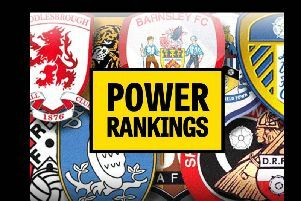 Despite their slump in form, Rovers are just three points off the play-off places, with McCann keen for his players to rediscover the self-belief that had given them such a good start to the season. We were all delighted when we went on a good run, so now the key is to keep motivating each other to keep improving. “We’ve seen all season we have the belief that we’re capable of beating anyone, we know we need to improve to stay at the right end of the table,” he added. The hosts got ahead in the 18th minute when Tom Anderson headed onto his own crossbar from a corner and Aribo was quickest to pounce on the loose ball from six yards out. It got worse for the visitors 15 minutes later when Ahearne-Grant’s firm header proved too strong for goalkeeper Marko Marosi. Charlton Athletic: Steer, Dijksteel (Sarr 80), Bielik, Pearce, Solly, Cullen, Reeves (Marshall 68), Aribo, Ward, Taylor (Vetokele 62), Ahearne-Grant. Unused substitutes: Phillips, Fosu, Pratley, Lapslie. Doncaster Rovers: Marosi, Mason, Butler, Tom Anderson, Andrew, Blair (Jermaine Anderson 78), Whiteman, Kane, Coppinger (May 46), Marquis,Taylor (Wilks 46). Unused substitutes: Crawford, Beestin, Amos, Jones.